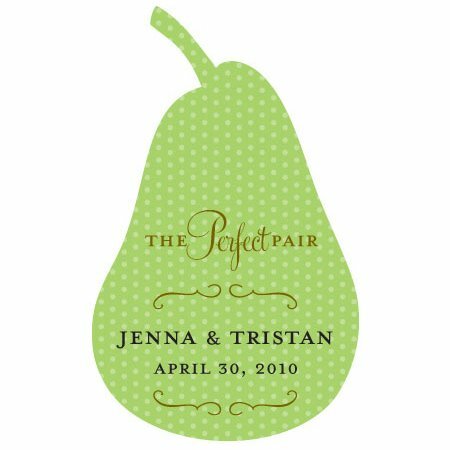 A fantastic way to personalize any of our pear-shaped wedding favors, these stickers carry the pear theme through in a customized fashion. 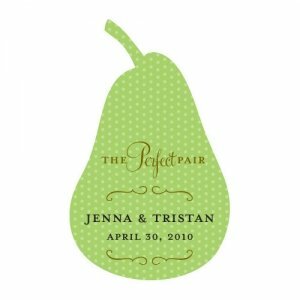 Each one reads 'The Perfect Pair' along with 2 lines of text that you can specify at checkout. The minimum order is 36 stickers. 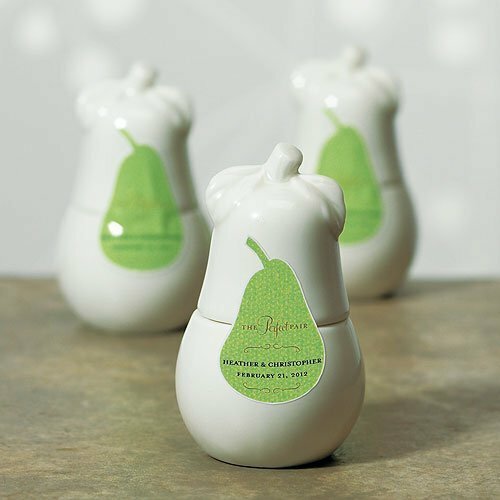 Before purchasing, double-check the dimensions to make sure that they will fit on the item that you are buying separately. Product dimensions: 1 x 1.7".